Captain Henry Samuel Harte, Company F, 47th Pennsylvania Volunteers (c. 1861-1864, public domain). Henry Samuel Harte, captain of F Company, 47th Regiment, Pennsylvania Volunteer Infantry, was one of the many emigrants from Germany who helped to preserve the Union of America during Civil War. Born in 1822 in Darmstadt, capital of the Grand Duchy of Hesse (now Darmstadt, Hesse, Germany), Henry S. Harte chose to settle in Pennsylvania. There, he wed Sarah A. Bander (1827-1900) during the 1840s. Born on 8 February 1827, she was a native Pennsylvanian who would help him build a large family and a successful business in the hospitality industry. On 29 August 1847, Henry and Sarah Harte welcomed daughter Ellen Jane Harte (1847-1925) to the world. Ellen later went on to wed Allentown, Pennsylvania native Albert Pfeiffer (1841-1895) in Catasauqua, Lehigh County on 5 October 1866. The 1850s proved to be a memorable decade for Henry and Sarah. On 13 May 1850, son Osbin Harte (1850-1891) made his first appearance at the Harte family home in Northampton Township in Lehigh County. There, Henry S. Harte supported his growing family by selling small wares as a huckster. Son Osbin would later go on to wed May (1861-1905), a native of Chicago. Then, just one year later, Henry Samuel Harte became an American citizen. Federal records confirm that his naturalization was made official by the Superior Court of New York County, New York on 15 October 1851. Sometime during these early years in Pennsylvania, he also became the keeper of the Pennsylvania Hotel in Allentown, according to news coverage in The Allentown Democrat. In 1852, son Lewis K. Harte (1852-1916) was born on 19 March. Lewis would later follow his father into the family’s hotel business. As his reputation in the community continued to grow, Henry S. Harte became increasingly involved in civic affairs, and was appointed Captain of the Lehigh County militia unit known as the Catasauqua Rifles during the late 1850s. Captain Henry S. Harte and Company F, 47th Pennsylvania Volunteers (public domain). Henry Samuel Harte officially enrolled for Civil War military service at Catasauqua on 21 August 1861. Commissioned as a Captain, he mustered in on 30 August at Camp Curtin in Harrisburg, where he was placed in charge of Company F of the 47th Regiment, Pennsylvania Volunteer Infantry. When the sound of the first gun roused the war spirit of the North to fever heat, he raised a company of volunteers and served as Captain of it with the 47th regiment Penna. Vols. for a full three year term, and it may be said that he along with the regiment saw as much hard service as any man in the army. Little did they know it, but the men of Company F would be sculpted into disciplined “team players” by Henry S. Harte over the next three years. According to Lewis Schmidt, author of A Civil War History of the 47th Regiment of Pennsylvania Veteran Volunteers, Captain Harte was a prolific issuer of orders, providing detailed instruction on everything from drill schedules to the importance of maintaining clean and orderly quarters. 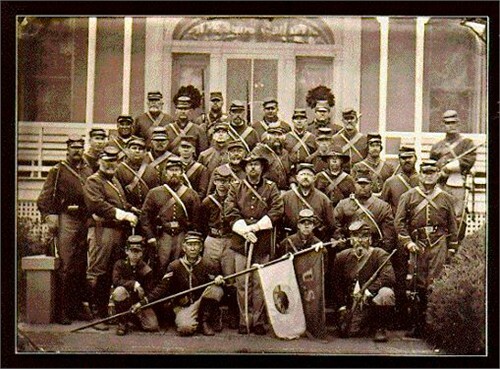 On 24 September, the 47th Regiment, Pennsylvania Volunteer Infantry finally became part of the U.S. Army when its men were officially mustered into federal service. Marching toward Falls Church, Virginia, they arrived at Camp Advance around dusk. There, about two miles from the bridge they had just crossed, they made camp in a deep ravine near a new federal fort under construction (Fort Ethan Allen). They had completed a roughly eight-mile trek, were situated fairly close to General W. F. Smith’s headquarters, and were now part of the massive Army of the Potomac. Under Smith’s leadership, their regiment and brigade would help to defend the nation’s capital from the time of their September arrival through late January when the men of the 47th Pennsylvania would be shipped south. As a reward for their performance that day – and in preparation for the even bigger adventures which awaited them on the horizon, Brigadier-General Brannan ordered that brand new Springfield rifles be obtained for every member of the 47th Pennsylvania Volunteers. In early February 1862, Captain Henry S. Harte and the men of Company F arrived in Key West with their fellow members of the regiment, where they were assigned to garrison Fort Taylor. Drilling daily in heavy artillery tactics, they also strengthened the fortifications at the federal installation. The time spent in Key West was difficult for Harte and his men. The work was hard, disease was rampant and the conditions were harsh. Worst of all, they were far from the comforts of their loved ones. While serving at Fort Taylor, Captain Henry S. Harte received word that another of his children was born at the Harte family home back in Catasauqua, Pennsylvania. Silore J. Harte (1862-1887), another son, arrived on 11 March 1862. Sometime during July according to Schmidt, Major William H. Gausler and Captain Henry S. Harte returned home to the Lehigh Valley to resume their recruiting efforts. 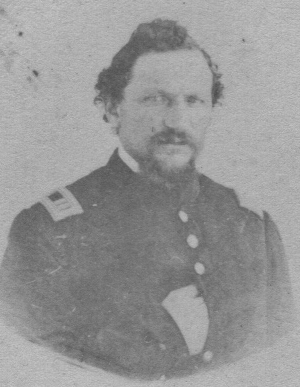 Major Gausler was able to persuade another 54 men to join the 47th Pennsylvania while Harte rounded up an additional 12. With those successes, Union leaders ordered the gunboats and army troops to extend the expedition, which they did, capturing assorted watercraft as they advanced further up the river. During this phase, Companies E and K of the 47th were led by Captain Charles Yard (E Company’s captain) in capturing Jacksonville, Florida (5 October) and the Gov. Milton, a Confederate steamer. Docked near Hawkinsville, the Milton had been furnishing troops, ammunition and other supplies not only to the Rebel battery atop Saint John’s Bluff, but to other Confederate Army units scattered throughout the region. Having been ordered back to Key West on 15 November 1862, much of 1863 was spent garrisoning federal installations in Florida as part of the 10th Corps, Department of the South. Companies A, B, C, E, G, and I garrisoned Fort Taylor in Key West while Companies D, F, H, and K garrisoned Fort Jefferson. If Harte’s Company F men had thought Fort Taylor and Key West were challenging, they were in for an even bigger surprise. Fort Jefferson, the Union’s remote outpost in the Dry Tortugas off the coast of Florida, was accessible only by boat. Even today, those who travel there report witnessing only miles and miles of vast ocean until – suddenly – the imposing fortress appears on the horizon. Disease and difficult weather were constant companions. Even so, many members of the 47th Pennsylvania Volunteers still chose to re-enlist during this phase of service, their desire to preserve the Union of their nation stronger than their fear of death. On 25 February 1864, the 47th set off for a phase of service in which the regiment would make history. Steaming for New Orleans aboard the Charles Thomas, the men arrived at Algiers, Louisiana on 28 February and were then shipped by train to Brashear City. Following another steamer ride to Franklin via the Bayou Teche, the 47th joined the 2nd Brigade, 1st Division of the Department of the Gulf’s 19th Army Corps. In short order, the 47th would become the only Pennsylvania regiment to serve in the Red River Campaign spearheaded by Union General Nathaniel P. Banks. During what would be yet another trying phase of duty, attrition from Captain Henry S. Harte’s F Company continued. Sometime during the month of March, Private Samuel Dunkle was transferred to the Veteran Reserve Corps (also known as the “invalid corps”) and, while back home in Pennsylvania, Private Jacob Sholl passed away at the Union Army’s Islington Lane General Hospital in Philadelphia on 21 March 1864. Meanwhile, from 14-26 March, Captain Harte and his fellow 47th Pennsylvanians trekked through New Iberia, Vermillionville, Opelousas, and Washington while en route to Alexandria and Natchitoches, Louisiana. Often short on food and water, the members of the regiment encamped briefly at Pleasant Hill the night of 7 April before continuing on the next day, marching until mid-afternoon. Once again, casualties were severe. The regiment’s second in command, Lieutenant Colonel G. W. Alexander, was nearly killed, and the regiment’s two color-bearers, both from Company C, were also seriously wounded while preventing the American flag from falling into enemy hands. In Company F, Captain Henry S. Harte lost more men under his command. Private George Klein was discharged on a Surgeon’s Certificate on 16 April 1864. And, after having been shot in the jaw during the Battle of Sabine Cross Roads (Mansfield), Private Griff Reinert was ultimately discharged on a Surgeon’s Certificate on 28 December 1864. Still others from the 47th were captured by Confederate troops, marched roughly 125 miles to Camp Ford, a Confederate Army prison camp near Tyler, Texas, and held there as prisoners of war until they were released during prisoner exchanges on 22 July and in September and November. F Company’s Private John L. Jones, one of those wounded during the Battle of Pleasant Hill on 9 April before being taken prisoner, languished at Camp Ford until he was finally released during a prisoner exchange on 24 September 1864. Just 10 days earlier, on 14 September while still a POW, he had been promoted by his regiment to the rank of Corporal. After surviving the ordeal, he recuperated, returned to duty and continued to serve under Captain Harte. Sadly, Private John Weiss, another of Henry Samuel Harte’s F Company men, did not fare as well. Wounded in action at Pleasant Hill, he too was taken prisoner and marched off to Camp Ford, but he died from those wounds just over a month later on 15 July while still being held as a POW. Following what some historians have described as a drubbing by Confederates and by others as a Union victory (or at least a draw), the 47th Pennsylvania fell back to Grand Ecore, where the men resupplied and regrouped until 22 April. 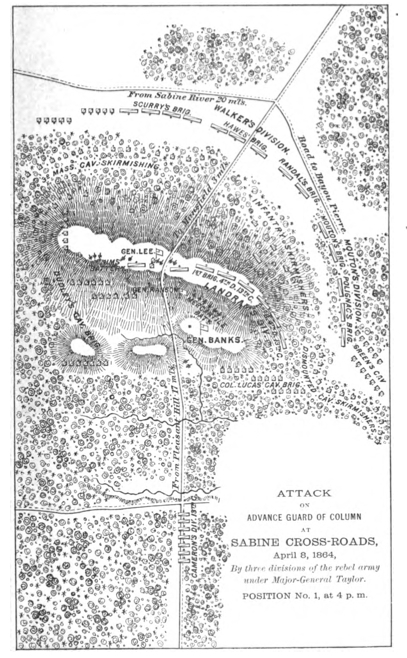 Retreating to Alexandria, they then scored a clear victory against the Confederate Army at Cane Hill. Christened “Bailey’s Dam” for the Union officer who ordered its construction, Lt. Col. Joseph Bailey, this timber dam built by the Union Army on the Red River in Alexandria, Louisiana in May 1864 eased passage of Union gunboats. Photo: Public domain. And Captain Harte lost two more. On 1 May 1864, Private L. Holyhauser (spelled “Hultzheizer” on the muster rolls) died at the Union Army’s hospital at New Orleans. Private Godfrey Betts died a week later on 8 May. Beginning 16 May, Captain Henry S. Harte and F Company moved with most of the 47th from Simmsport across the Atchafalaya to Morganza, and then to New Orleans on 20 June. On 22 June, 1st Lieutenant George W. Fuller was discharged on a Surgeon’s Certificate. Still able and willing to fight after their time in Bayou country, the soldiers of Company F and their fellow members of the 47th Pennsylvania returned to the Washington, D.C. area aboard the McClellan from 5-12 July 1864 – but they did so without Captain Henry S. Harte, who was ordered to serve on detached duty as the leader of the 47th Pennsylvanians serving with Companies B, G and K, who were left behind because the McClellan was unable to transport the entire regiment. Also during this time, more attrition occurred within the ranks of Captain Harte’s F Company. Privates Frederick Fisher and Philip McCue were discharged on Surgeons’ Certificates on 7 July, and Privates John Worley and William Herman, who had been left behind to convalesce, died at Union Army hospitals in New Orleans, Louisiana and Natchez, Mississippi on 16 and 23 July, respectively. After arriving in the Washington, D.C. area, Captain Harte’s F Company men and their fellow 47th Pennsylvanians joined up with General David Hunter’s forces at Snicker’s Gap, Virginia, where they assisted in defending Washington, D.C. while also helping to drive Confederate troops from Maryland. Captain Harte, after finally securing transport for Companies B, G and K aboard he Blackstone then sailed with those men later in the month. After arriving in the Washington, D.C. area on 28 July, he and his detachment reconnected with the 47th Pennsylvania at Monocacy, Virginia on 2 August 1864. Attached to the Middle Military Division, Army of the Shenandoah beginning in August, September saw the promotion of several men from Company F, including W. H. Bartholomew, who was promoted to the rank of 1st Lieutenant on 1 September 1864; Private Benjamin F. Bush, who was promoted twice in quick succession (to Corporal on 11 September and to Sergeant on 18 September); William H. Fink and James Tait, who were promoted to the rank of Sergeant on 18 September 1864; and Richmond H. Schwab, who was promoted to the rank of Corporal that same day (along with John L. Jones, a POW at Camp Ford in Tyler, Texas). Finally, on 18 September 1864, Captain Henry S. Harte was officially mustered out from military life. Joining his fellow captains from D and E Companies, Henry D. Woodruff and Charles H. Yard, Captain Harte was honorably discharged at Berryville, Virginia on 18 September 1864 upon expiration of his three-year term of service. Following his honorable discharge from the military, Captain Henry Samuel Harte returned home to his family and his hotel business in the Lehigh Valley of Pennsylvania. In 1865, he and his wife Sarah welcomed another child to their brood when son Archibald Clinton Harte (1865-1946) was born on 26 June in Allentown. * Note: Archibald Clinton Harte (also known as “Archie”) later went on to become a minister, resided in Alabama, and traveled abroad to numerous countries on behalf of the Young Men’s Christian Association, including Liverpool, England and Jaffa, Palestine. An article penned by James W. Gerard, U.S. Ambassador to Germany which appeared in newspapers across the nation on 1917, including in the 27 October edition of The Washington Times, briefly mentioned the Rev. Dr. Harte’s work as International Secretary with the Y.M.C.A. in assisting prisoners of war in Germany and Russia. Other articles celebrated his success in helping reunite the families of missing soldiers with their lost loved ones. Following World War I, Rev. Dr. Archibald Harte traveled to India, and served as General Secretary for the Y.M.C.A. in Jerusalem from 1920 to 1929, as well as in Egypt. The Rev. Dr. Harte continued to minister to weary wanderers long after his retirement in 1931 to his home, “Harte Villa,” which was located near Tiberias on the western shore of the Sea of Galilee in Israel. After witnessing another World War come and go, Harte passed away on Palm Sunday (14 April) in 1946, and was interred in the garden there. His will specified that his home and other buildings within the complex (known today as Peniel-by-Galilee) become part of the YMCA’s operations; it remained open to travelers until just recently when the Peniel was damaged by fire. In 1870, Henry and Sarah Harte resided in Catasauqua with most of their children, including: Osbin, Lewis, James, Sylvester, Ida, Lillie, Silore and Archibald. He possessed several qualities invaluable to the successful hotel keeper, and which enabled him to wield a large influence. He was kind to all who appreciated him, and generous to a fault in responding to appeals for charity. The many friends and acquaintances of Capt. Henry S. Harte, proprietor of the Mansion House, in Catasauqua, will learn with sorrow of his death, which occurred on Friday evening last, after a long illness, first with heart affections and latterly with cancer of the stomach. In his death our county loses one of its best and most highly respected citizens…. [H]is name is now added to the roll of citizens of Lehigh county who have passed away and will be long and affectionately remembered by the comrades and friends who knew him best, and in that family circle wherein the best qualities of his nature were shown. The attendance was exceedingly large. The old soldiers turned out in very full numbers, along with citizens and societies. A more impressive scene can hardly be imagined, and it spoke in the most unmistakable terms of the respect and love entertained for the dead man by the community in which he had passed the latter portion of his life. His large, generous nature had endeared him to all who knew him. In every relation of life he filled full the measure of his duty. A good citizen, an affectionate husband and father, a loyal friend, there was not one in the large procession that followed him to his last resting place on earth who was not a heartfelt mourner for him whose death to them was loss, though to him, gain. Survived by his wife, six sons and three daughters, Captain Henry S. Harte was laid to rest at the Fairview Cemetery in West Catasauqua, Lehigh County, Pennsylvania. 2. Death of Capt. Harte of Catasauqua, in The Allentown Democrat. Allentown: 10 August 1881. 3. Ex-YMCA Chief Dies, in The Salt Lake Tribune. Salt Lake: 15 April 1946. 4. George Kopp and Captain Henry S. Harte’s Catasauqua Rifles (mentioned), in The Biery House Herald. Catasauqua: Historic Catasauqua Preservation Association, Fall 2010. 5. Girard, James W. “My Four Years in Germany” – By Ambassador James Watson Girard: Envoy Describes Work of Y.M.C.A. in War Zones, in The Washington Times, The Houston Post, etc. Washington, D.C.: 27 October 1917 and Houston: 15 September 1917. 6. Harte Family Baptismal, Marriage and Death Records, in Historic Pennsylvania Church and Town Records. Philadelphia: Historical Society of Pennsylvania. 7. Harte Family Death Certificates. Harrisburg: Commonwealth of Pennsylvania, Department of Health, Bureau of Vital Statistics. 8. Harte, Henry, in U.S. Immigration and Naturalization Records. Washington, D.C. and New York: 15 October 1851. 9. Harte, Henry S. and Sarah A. Harte, in U.S. Civil War Pension Index. Washington, D.C.: Application no. : 307031, certificate no. : 295575, filed by the veteran 29 August 1879; application no. : 292455, certificate no. : 214546, filed by the veteran’s widow 8 May 1882. 10. Rev. Archibald C. Harte and Three Arches Hotel: Peniel, on the Jerusalem International Y.M.C.A. website: http://ymca3arches.com/peniel/. 12. U.S. Census. Washington, D.C. and Pennsylvania: 1850, 1860, 1870, 1880, 1900, 1910, 1920.